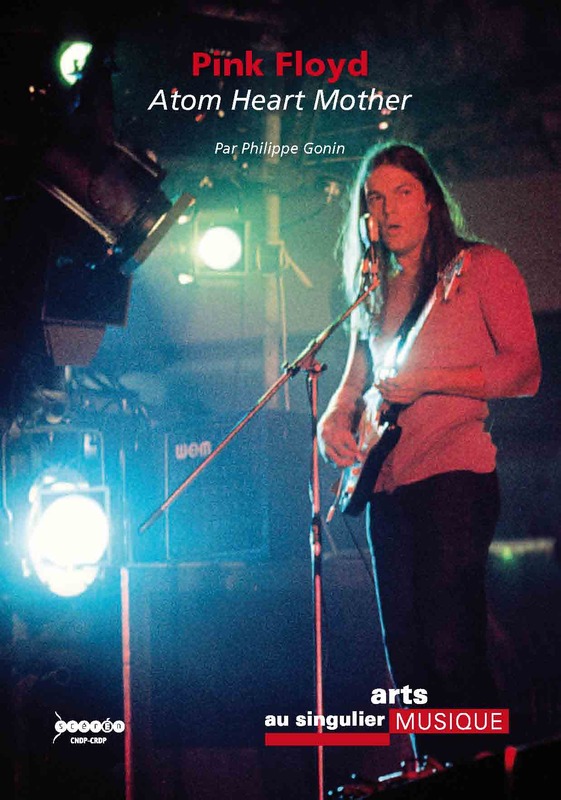 A new book, in French, has been published by Sceren looking at the story of Pink Floyd's Atom Heart Mother. Written by Philippe Gonin (a guitarist, teacher at the University of Bourgogne, specialist in the history of modern music, and member of the International Association for the Study of Popular Music), it is aimed at French music students; Atom Heart Mother is now one of the pieces of music to study on the French A-level syllabus. From the synopsis, the aim of the book is to "highlight the creative process that led partly to the first performances in early 1970, through to completion of the album, released in October of the same year. It puts it into perspective with the work of Floyd in the 1960s. "The study of the work is based both on the score of Geesin and on a purely auditory level. We strive to reveal how, in this hybrid work, which nevertheless proved ultimately successful, the merger took place between scholarly and popular music. Using traditional analytical methods and use of research, we highlight some key elements to an overall understanding of this unique work in the course of the group. "Richly illustrated, the book provides in part unpublished photographs of the Atom Heart Mother recording sessions at Abbey Road. The preface is written by Ron Geesin." With Geesin's contributions, and the rare pictures of the Floyd (supplied by Nick Mason), it certainly sounds an interesting study. The book can be ordered direct from the publishers, Sceren.com, who ship worldwide. Our thanks to Olivier Bugaud for the info.